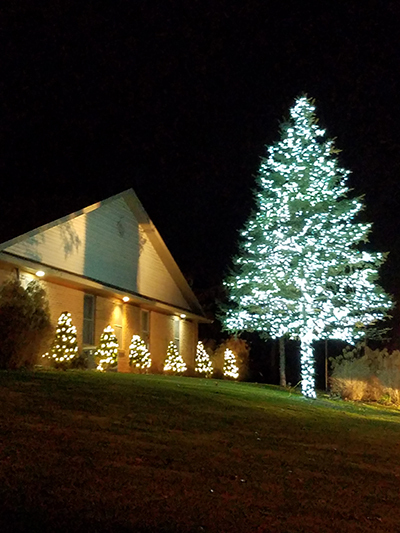 Remember to honor your family members, loved ones, and friends during this season’s Memorial Tree Lighting ceremony by donating to the Mountain Hospice Light-a-Life Memorial Campaign. This campaign is open to hospice and non-hospice individuals. A service with music and refreshments will take place inside. Carols, music, a bon fire, and hot chocolate will be enjoyed outside during the lighting of the tree. Come remember your loved one by placing a luminary outside during our service. Numerous other surprises are planned for the evening. Remember your loved one with a celebration of their life during our tree lighting. All donations directly support the ongoing services we provide locally, at no cost to those who need hospice. No individual is ever turned away due to inability to pay. We are able to meet the needs of our patients in seven counties due to dedicated financial support from families and loved ones in the communities we serve. Your support enables Mountain Hospice to focus our attention on providing high-quality hospice services.